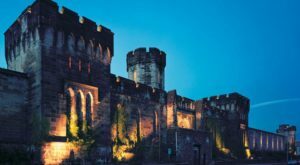 Love Pennsylvania? Get more stories delivered right to your email. Time to brush off the old bucket list! When’s the last time you added some really amazing destinations to your bucket list? Well, there’s no time like the present, right? 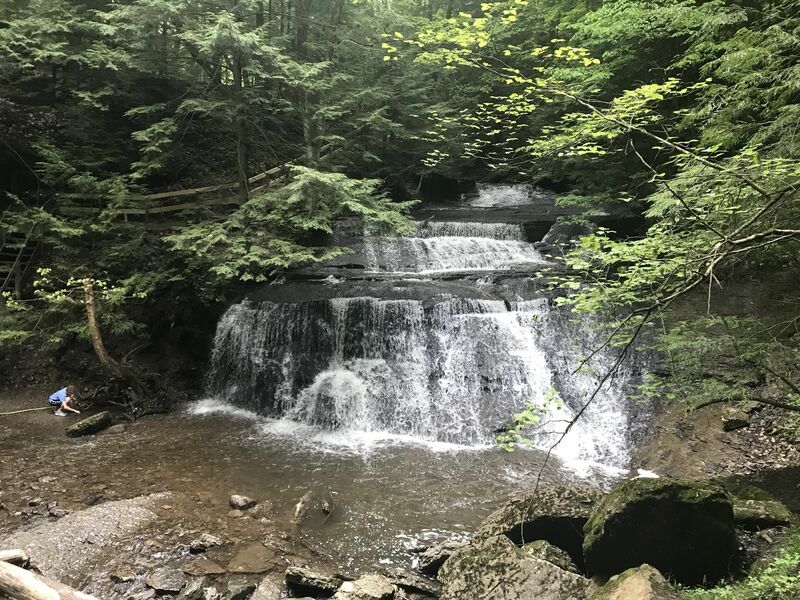 These 10 waterfall hikes in Pennsylvania each offer pure natural beauty and breathtaking waterfalls. And, some are easy while a few should only be conquered by seasoned hikers. Which will you add to your bucket list? 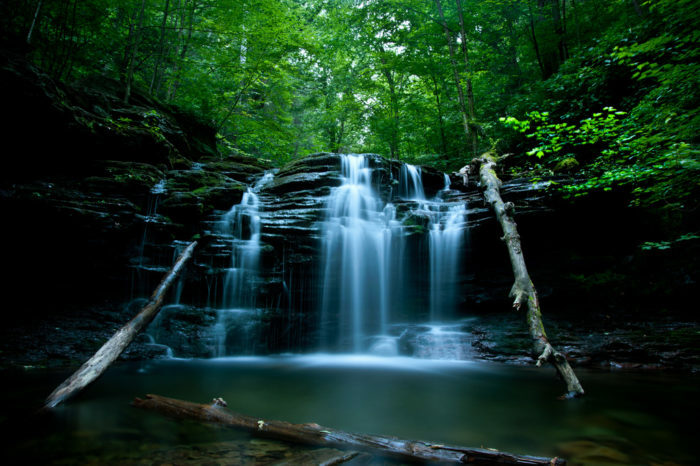 Falls Trail in Ricketts Glen State Park may be the ultimate waterfall hike. After all, it will lead you to 21 of the park's 22 named waterfalls. The 7.2-mile trail, however, does feature a variety of challenges, including slippery surfaces and steep climbs. 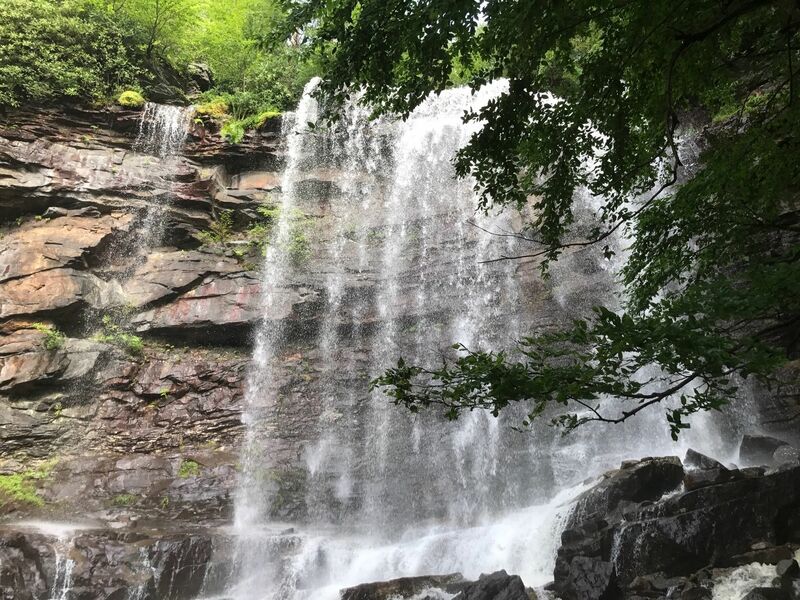 But, if you're up for it, you'll be well-rewarded with sensational views of all 21 waterfalls, including the 94-foot Ganoga Falls. 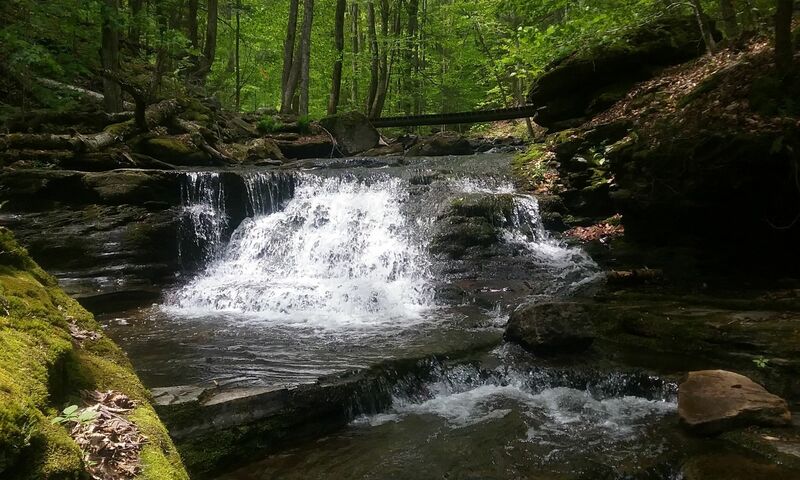 Ricketts Glen State Park is located at 695 State Route 487, Benton, PA 17814. 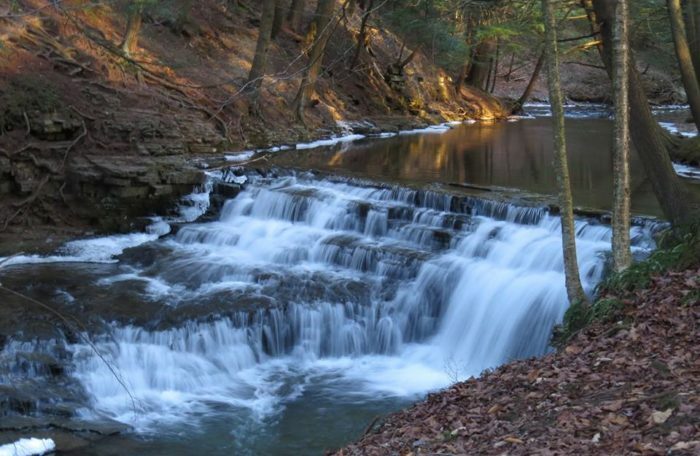 Enjoy an easy, picturesque hike along the .8 mile Shohola Falls Loop Trail. The popular trail allows dogs and is open all-year around. Of course, the highlight of the trail is the stunning Shohola Falls. Shohola Falls is located at Route 6, Shohola Township, PA 18458. 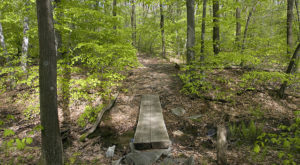 Wear sturdy hiking shoes for your hike along the Double Run Nature Trail in Worlds End State Park. The 2.5-mile loop trail presents some challenges, particularly steep areas. However, the hike also promises stellar views of several waterfalls, including Cottonwood Falls. 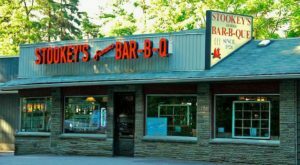 Worlds End State Park is located at 82 Cabin Bridge Rd., Forksville, PA 18616. 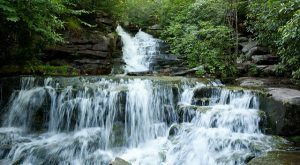 Admire two majestic waterfalls along the one-mile Fall Brook Trail in Salt Springs State Park. Keep an eye out for local wildlife, including flying squirrels and porcupine. Of course, the highlight of the trail is the two waterfalls. Use caution as you hike near the waterfalls, as the trail near both tends to be slippery. 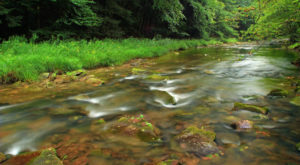 Salt Springs State Park is located at 2305 Salt Springs Rd., Montrose, PA 18801. Get ready for a surprise along Meadow Run Trail in Ohiopyle State Park. 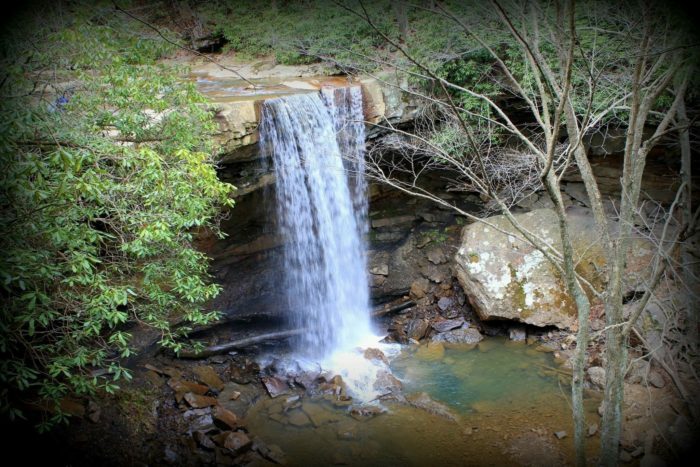 The three-mile loop trail will lead you Cucumber Falls and Ohiopyle Falls. Descend a staircase to get to the base of Cucumber Falls. And, admire Ohiopyle Falls from one of several viewing areas. The trail will also take you past the Meadow Run Natural Waterslide. Yes, you can slide down the gushing natural waterslide. 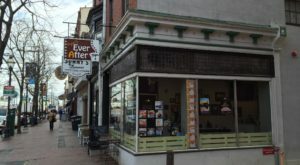 Ohiopyle Falls is located at 124 Main St., Ohiopyle, PA 15470. Glen Onoko Falls is located at Jim Thorpe, PA 18229. Bushkill Falls, a private park in Pennsylvania that requires an admission fee, spans 300 acres and boasts eight stunning waterfalls. It's also earned the title of "Pennsylvania's Niagara Falls." The tallest of the waterfalls, Main Falls, drops a stunning 100 feet. The two-mile, picturesque trail will lead you over footbridges and up staircases. Bushkill Falls is located at 138 Bushkill Falls Trail, Bushkill, PA 18324. Embark on an easy hike or stroll that will lead you straight to the majestic Dingman Falls. The .8-mile loop trail will lead you along wooden boardwalks, culminating in breathtaking views of Pennsylvania's second largest waterfall. Dingman Falls drops a stunning 130 feet, which means you can hear it before you see it. For a bird's eye view of the waterfall, climb a set of wooden stairs. Dingman Falls is located at the Delaware Water Gap National Recreation Area Headquarters, Dingmans Ferry, PA 18328. 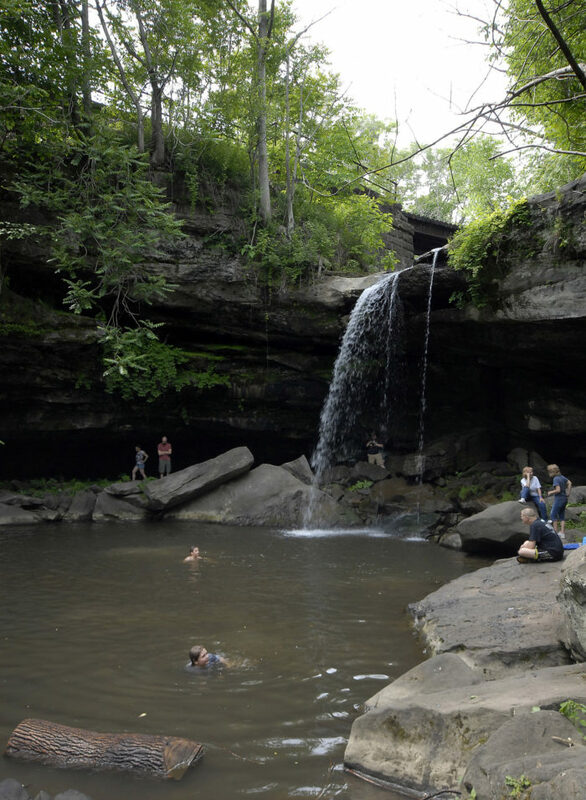 Buttermilk Falls Natural Area offers an easy, picturesque hike to Buttermilk Falls. 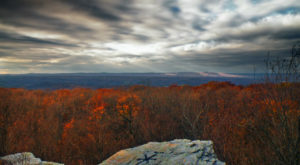 The hike, which typically takes between five and 15 minutes, will lead you up a stone staircase and past an old quarry. Dip your toes in the cool water of the pool into which the 40-foot waterfall drops. And, admire the waterfall from the base or from above. 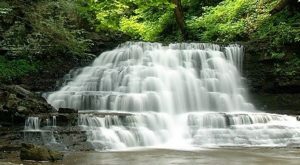 Buttermilk Falls Natural Area is located at Route 18 & First Ave. & Homewood Borough, Beaver Falls, PA 15010. Carry plenty of water (and snacks) with you as you hit the Slippery Rock Gorge Trail. The trail, rated difficult, spans 14.2 miles round trip. However, due to conditions such as slippery surfaces and steep hills, only experienced hikers are advised to use the trail. The rewards, of course, including the breathtaking waterfall. 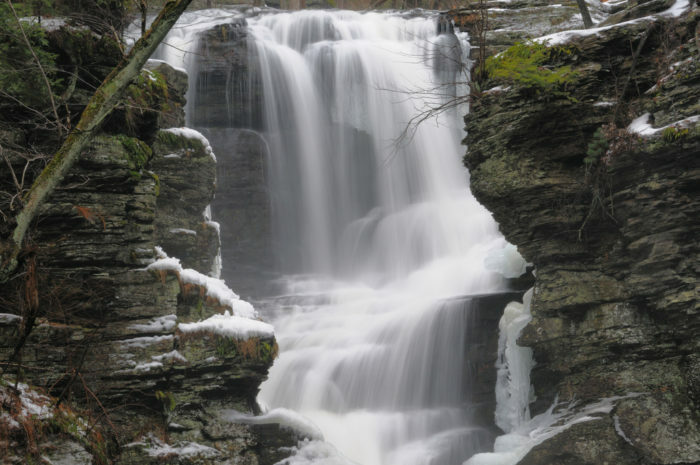 Have you been on any of these waterfall hikes in Pennsylvania? If so, which is your favorite? Let us know in the comments! 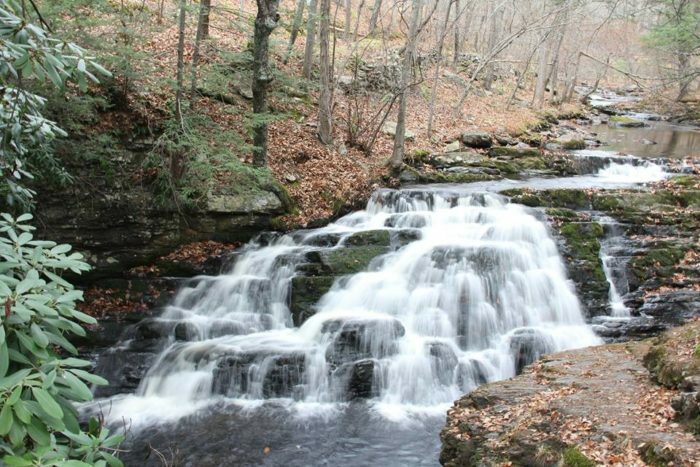 Then, start planning an epic road trip to some of PA’s hidden waterfalls.